Suggestar offers you compelling features to help maximize customer feedback, whether you’re a restaurant, retail store or any other operation. Choose the order of your questions or randomize each of them on the fly. 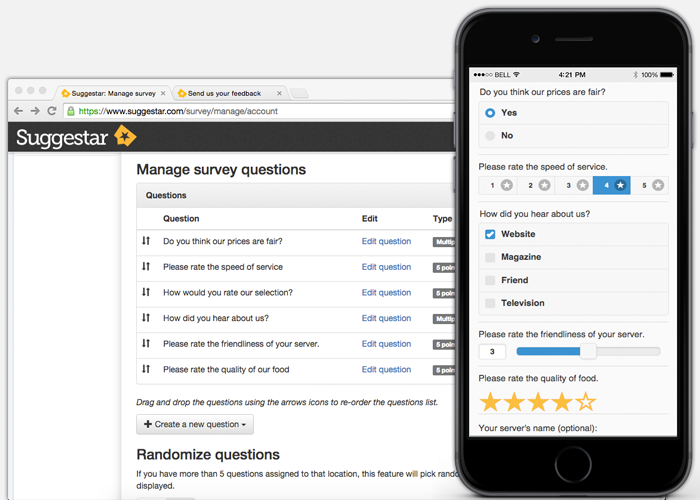 Build a quick, simple and easy to use survey experience so you can gather lots of responses without the need for any incentive. The most important question you can ask your customers. Would you suggest my business to your friends, family or colleagues? Respondents get the chance to answer “No, Maybe or Sure” followed by an open ended response asking your customers to elaborate further. 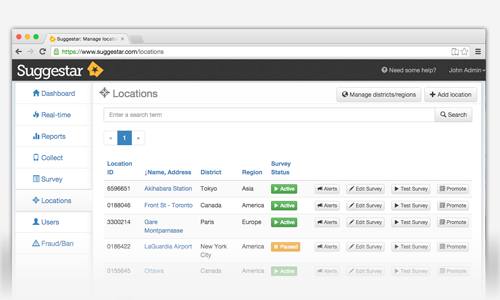 Quickly collect responses by promoting your survey link at your location or anywhere online. Use QR codes and even print our posters from your dashboard. For multiple locations, generate unique survey links so you can compare the performance of each location. Options to link to your survey within your internal POS system. 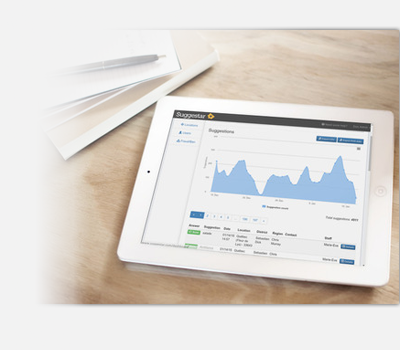 Let us help you to maximize your number of respondents and gain clear insights from your customers in real-time! Unlike most survey platforms, Suggestar is designed to analyze your results for each one of your locations and compare their performance in real-time. Setup multiple users with different permissions to access all or part of your data, allowing you to create different rules based on the needs of your organization. 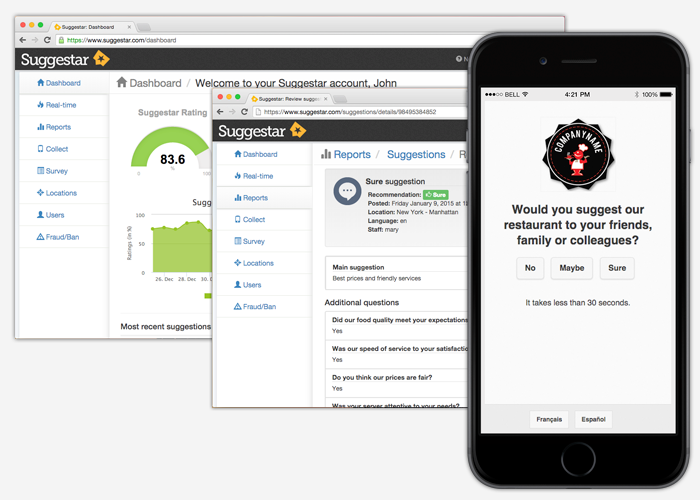 Review all suggestions in real-time and engage with your guests. 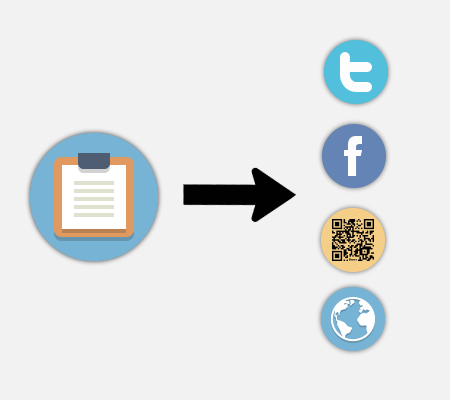 Reports allow to filter and export data to the format of your choice. Let the customer tell you the story by analyzing key topics and keywords. We have created the most robust reporting platform that gives you the clearest insights while respecting your time. 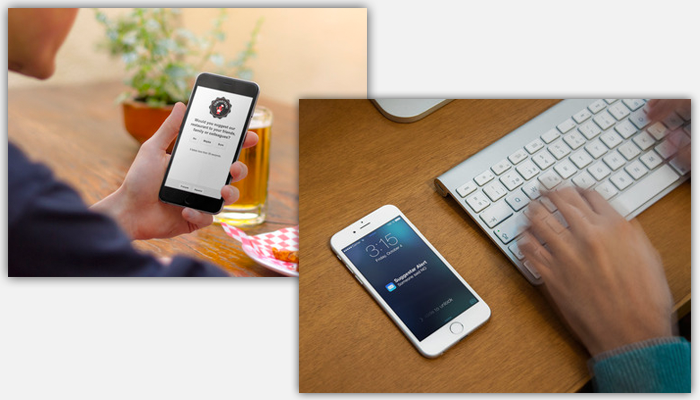 Choose to receive instant alerts and act upon the guest experience before they leave your location. Manage your reputation by always being connected to your customers even when you're not onsite. We extract the main topics for each suggestion and deliver it to you in an easy to understand display. We do all the complex natural language processing so that you can get a clear story. Suggestions appear and your Suggestar score will update in real-time as guests post. The dashboard can be displayed in your locations so your staff feel more connected to the guest experience. We have created a "best in class" solution to manage your guest recovery process. Communication tools allow you to close the feedback loop with every suggestion received. Suggestar is available in multiple languages allowing your guests to confortably voice their opinion. Language detection will render the survey based on your device preferences.